The grant of $14,815 to Lutheran Special Education Ministries is funding the purchase of materials and iPads and accessories for use by students. Caitlin McCallum, Development Assistant, reports on progress. LSEM (Lutheran Special Education Ministries) shares reading progress through iPad purchase from a grant provided by LWML. LSEM partners with parents providing support for reading and math proficiency. LSEM is excited to share how grant funds from the LWML ladies of the NID are helping children with their reading. 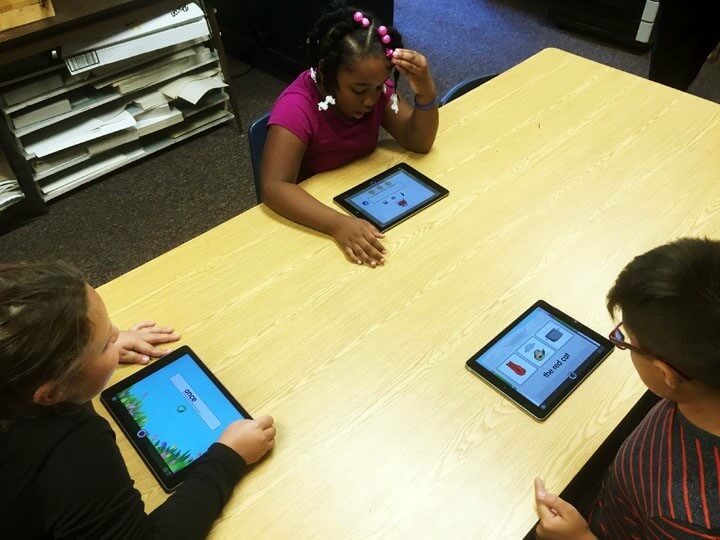 We have begun to use grant monies to purchase hardware like iPads and computers for kids to use in our resource rooms. 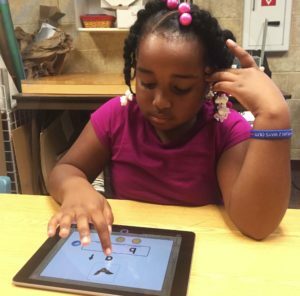 The iPads are used to run Lexia software, which is a program that helps students learn, practice, and consolidate fundamental literacy skills. It works individually according to each child’s reading skills. Lexia tracks the child’s progress and adjusts the games and tests according to their strengths and weaknesses. Having the additional iPads and technology means that more children can be served simultaneously in our classroom. It makes their learning more effective. The kids love to use the iPads and they have fun while training their reading skills. To date, $4347.65 has been disbursed, with $10,502.35 remaining for use. Please pray for success for this ministry in reaching the special needs of students.